Be sure to put your feet together, to close the gap in the back of the rabbit. 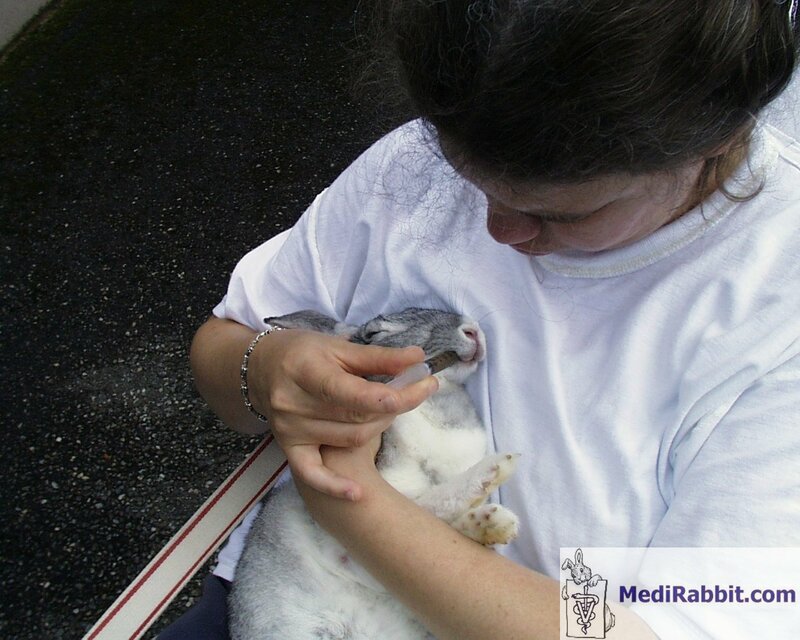 After restraining the rabbit, a hand put over the head to close the eyes avoids immediate escape. 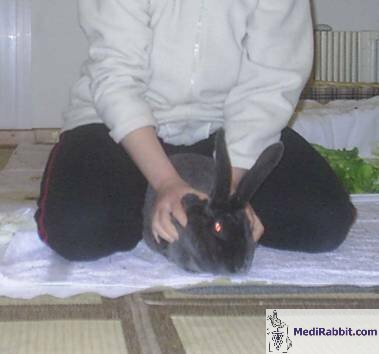 When calmed down, the rabbit can be petted before the medication of food is given. 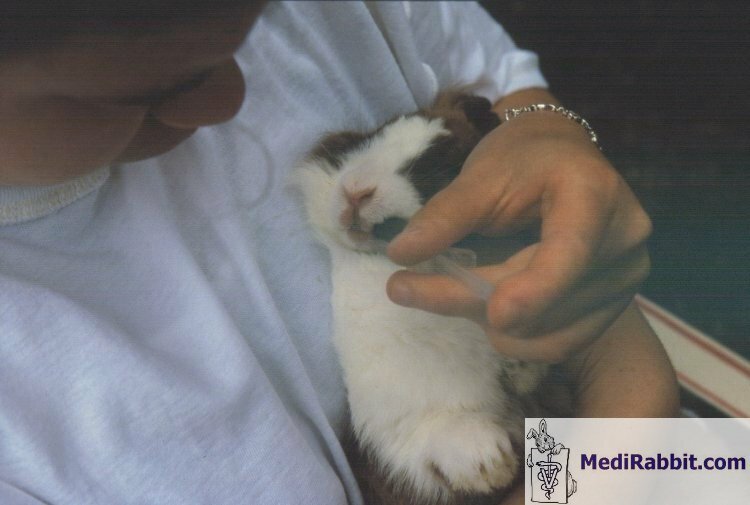 The syringe is gently introduced in the mouth of the rabbit, through the space between the incisors and the molars, and pushed a bit deeper in the mouth. 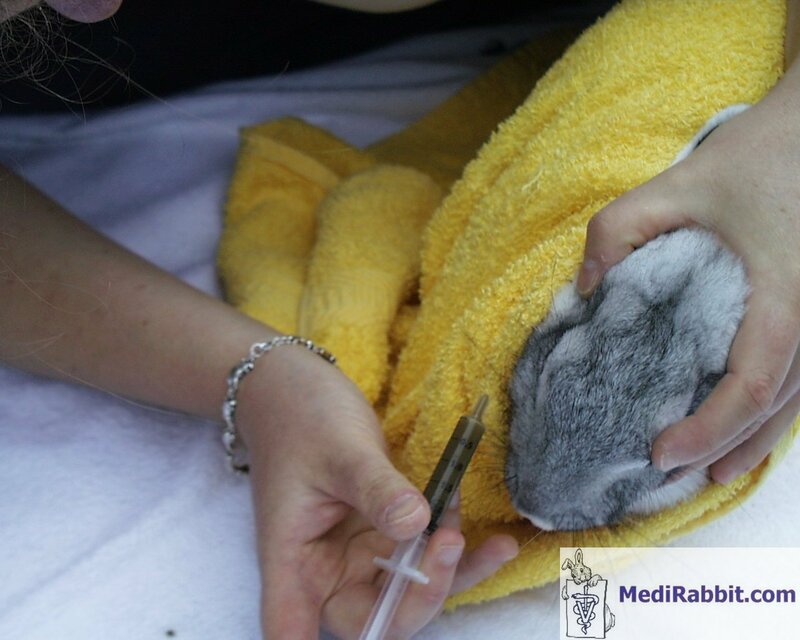 This avoids that the rabbit will spill the medicine out right away. Most rabbits start to chew to get rid of the foreign object. Do not allow the syringe to get out of the mouth, instead start to slowly give the medicine.